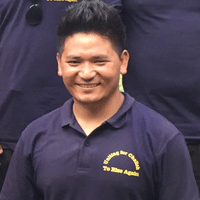 I am Lok Gurung from Dhading 4 Sertung chalish village, and I have been working as a trekking guide from 1999 till now. During a guide for Nepal wilderness trekking agency. I have kissed Annapurna Base Camp, Dhaulagiri circuit, throng la pass, Tilicho Meso Kantola pass, Mustang, Saribung pass, Manaslu, Ganesh Himal, Langtang, Helambu, Gosaikunda, Ganjala pass, Everest Base camp, Rolwaling Tashi lapcha pass, Sherpani Col, Kanchenjunga, and much more trekking areas, I one of the most experienced guides for wilderness trekking agency for high passes wilderness challenges Trekking area. I have many reviews from previous customers on the site, so if you want to test challenging trek, please welcome with us.